Arrived home late on Tuesday evening. Lovely to see Purdy and Jason, and home. She looked very happy and contented. Jason had placed flowers in the rooms, the moon was bright, and I heard an owl. Slept like a log, and woke at 4am, but that’s to be expected. My last day in Tokyo was quite sad, although I know I will see everyone again next year. I was taken for lunch in Roppongi Hills, which is very posh with designer shops everywhere. 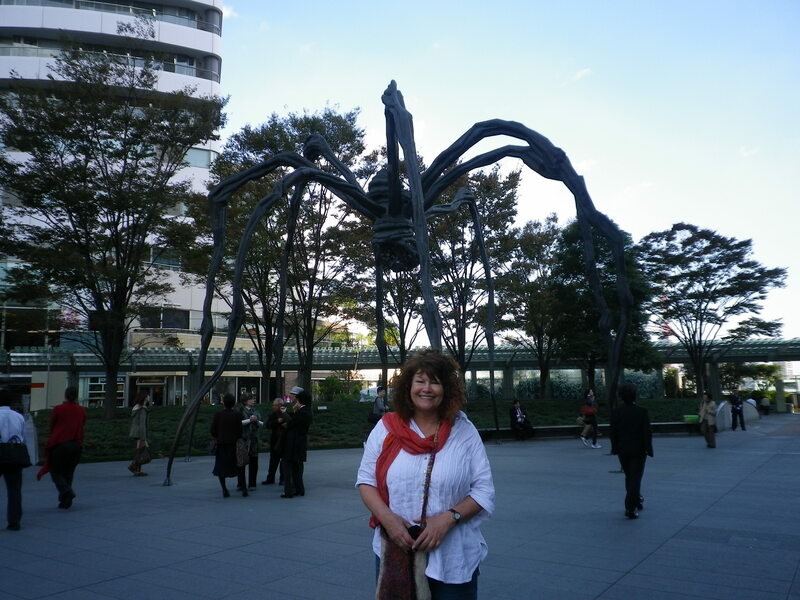 I went there last year, but can’t remember this huge spider! 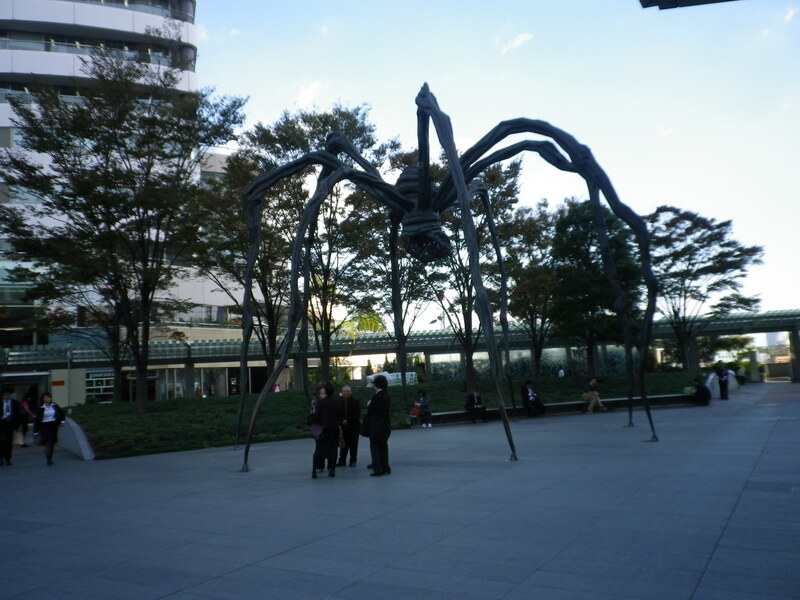 I don’t know if anyone saw the magnificent metal spider that was in Tate Modern when it first opened, but this one is obviously a relative!